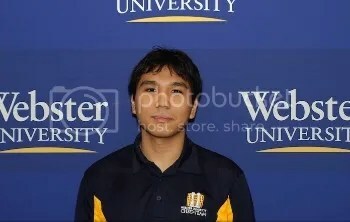 Webster University freshman and chess Grandmaster Wesley So has officially made chess history. In the final game of the prestigious Reykjavik Open on Wednesday, Feb. 27, So drew with the black pieces against the former world’s No. 6-ranked player, Ukrainian Grandmaster Pavel Eljanov, to tie for first place. In addition, So is now the first player from the Philippines and the first player in the 67-year history of American Collegiate Chess to break the 2700 rating mark. Only 53 current players in the entire chess world of more than 700 million players have ratings over this mark. So also is now the No. 2-ranked junior chess player in the world, passing Yu Yangyi of China. News of So breaking 2700 has made every mainstream media outlet in the Philippines. He is their greatest talent and the pride of a chess-loving nation. He’s Webster’s pride too. Way to go, Wesley So! I like Wesley’s chances in the forthcoming Tata Steel Chess Tournament. He will be pitted against the likes of Aronian and Nakamura, two of the strongest woodpushers next to Carlsen. I do not expect him to win the tournament. I just love the fact that every draw with players ranked above him will earn him ELO points. I can’t wait to see him test his mettle against Karjakin and Caruana, even if I have to wake up at 5 am every morning.